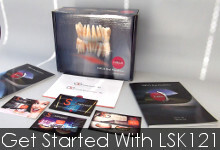 LSK121 Oral Prosthetics specializes in perfectly matching adjacent teeth in the anterior region of patients' mouths. We have unique and innovative tools and experience that provides us with the ability to fabricate single anterior prosthetics that seamlessly blend in between natural teeth. 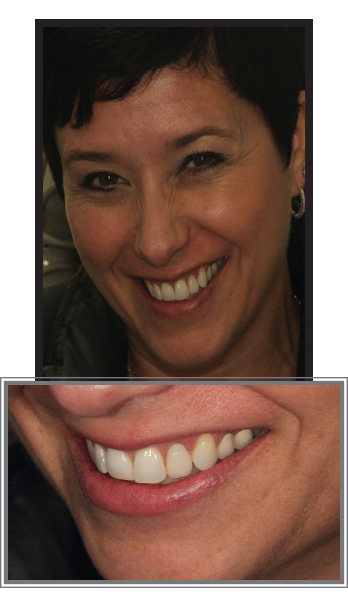 Our single anterior implant prosthetics are virtually indistinguishable from natural teeth. We specialize in using the most state of the art dental laboratory tools and materials to maximize life-like dentition, translucency, contour and shape to ensure that our single anterior implants perfectly mimic natural teeth. Our implant prosthetics replicate natural white calcification, crack lines, pink gum tissue and a host of other tooth characteristics typically ignored by standard single anterior implant prosthetics. This could be best achieved if you are using our Chairside Shade Guide System to insure the best match possible. Please feel free to ask for more information on this vital tool for restorative procedures. After you prep the tooth, carefully examine and measure the adjacent teeth for size to allow for a close match when we build up the new anterior tooth - it should be a naturally matching tooth in size as well as shade. Also we need you to take a picture of the stump color or after-prep color as it will guide us to the material selection. If you want the best restoration available, our Single Anterior Service is available to you by using our specially designed prescription pad which will allow us to match the new tooth as closely as possible to the natural teeth. You can be secure in the fact that LSK121 has taken every precaution and step to insure that you have the best in a single anterior esthetic tooth replacement. We have prepared a Patient Information Guide that you can give your patients to allow them to see the special steps and extra care we have taken to insure their complete satisfaction with their new tooth. Material Section: Since this is a non-metal restoration - based on pictures and shades provided by you, your restoration will either be a pressed Zirconium or Emax fabricated in our own milling machine.